The 1855 Classification of the Medoc and the wines of Sauternes was originally compiled for the Exposition Universelle de Paris of 1855 by order of Emperor Napoleon III. The Exhibition was intended to showcase the best of all things French, so it was presumed and natural to include the great wines of Bordeaux. It was left to the merchants in Bordeaux to assemble the list. Being businessmen they chose to categorise by the prices achieved over past vintages. For one reason or another and because of the power shift to the grand Chateaux (who had a considerable vested interest), the classification has remained and has never been amended except for the promotion of Mouton Rothschild in 1973 and the rather late entry of Cantemerle. In many ways it is still a very valid and relevant classification. 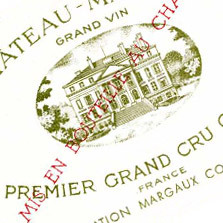 The first growths command a huge premium over the lesser growths; however, if the Medoc were to be reclassified, surely the likes of Lynch Bages and Pontet Canet, as example, would be promoted at the expense of some over-elevated Margaux Chateaux.